Maryland General Assembly sought to add Maryland to a growing list of states that have reformed their civil asset forfeiture laws. Some states, such as New Mexico and Montana, have enacted comprehensive reforms by eliminating this form of government overreach while others, like as Georgia, have strengthened transparency and reporting requirements. Like most states, Maryland's civil asset forfeiture laws are in need of real reform. When property is seized, the legal principle of "innocent until proven guilty" is inverted. Property, with the exception of homes or land, is presumed to be guilty, and an individual -- who is often never charged with a crime -- must prove its innocence to get it back from the government. The only real positive in Maryland's civil asset forfeiture laws is that the perverse profit motive found in most states does not exist. Proceeds from forfeitures are directed to the state's general fund or local governments. The proposed reforms in Maryland, through SB 528, were significant. The bill would have established a minimum $300 threshold before law enforcement could seize property believed to be connected to a crime and would have added meaningful protections for innocent property owners by requiring law enforcement to show evidence that seized items are connected to a crime. Importantly, SB 528 would have prevented Maryland law enforcement agencies from sending seized property to the federal government for "adoption" absent criminal charges. The Justice Department, through its Equitable Sharing Program, funnels up to 80 percent of the proceeds from adopted property back to the seizing state or local agency. The program facilitates abuse by overzealous law enforcement in states with restrictive civil asset forfeiture laws. Unfortunately, Gov. Larry Hogan, a Republican, acquiesced to the complaints of Maryland's law enforcement community and, on Friday, vetoed SB 528. The bill, Hogan wrote in his veto message, "would greatly inhibit local law enforcement agencies from pursuing asset forfeitures from drug dealers" and "poses new restrictions that would interfere with joint federal and State task forces investigating drug crimes." Hogan resorted to scare tactics to justify his veto, writing that civil asset forfeiture "helps ensure that these criminals do not reap any economic benefit from their crimes." This is misdirection. Placing restrictions on civil asset forfeiture to keep innocent individuals from being adversely affected should be an easy decision for anyone who purportedly believes in limited government. The burden of proof should always fall on the government. If property is connected to a crime, law enforcement and prosecutors should be able to prove it beyond a reasonable doubt. While he vetoed a good bill based on faulty logic, Hogan did make a passing mention that civil asset forfeiture laws "can be abused by those in charge of their implementation." He also announced that he is directing the Office of Crime Control and Prevention to form a working group to examine Maryland's civil asset forfeiture laws. This working group, however, may be a farce, as it will be heavily stacked with opponents of SB 528. SB 528 was a great opportunity to address the serious problems with Maryland's civil asset forfeiture laws. 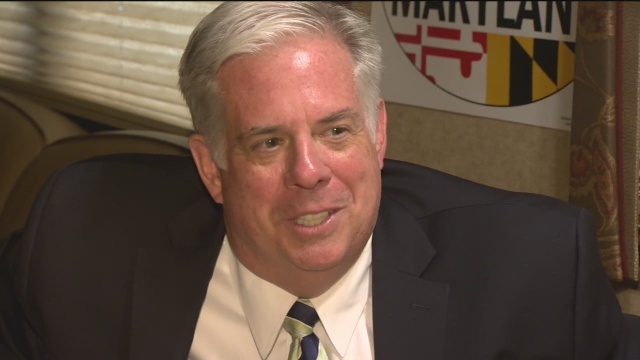 It was a test for Hogan, who is still in the early days of his administration. By vetoing this bill, Hogan failed to stand up for innocent property owners who have fallen victim -- and those who could fall victim -- to government overreach.